ClearCorrect® is a translucent aligner system that can straighten your smile without using traditional fixed braces. If you’re looking for an alternative to metal orthodontics or Invisalign®, then ClearCorrect is an excellent option. Made of clear, BPA-free materials, ClearCorrect is a translucent orthodontic system that straightens your teeth using sets of removable aligners. Every two weeks you change out the trays for the next in the series. You’ll only need a brief evaluation every six weeks or so to ensure that your treatment is progressing properly and to pick up the next several sets of aligners. 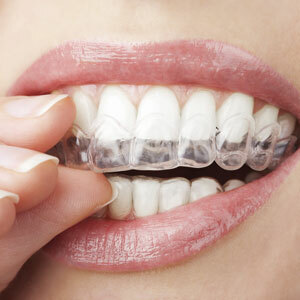 Each thin, clear tray snaps discreetly over your teeth so that no one else needs to know it’s there. Because they’re removable, you can brush and floss as normal and enjoy a typical meal without making changes to your diet. If you’re considering ClearCorrect or want to know which type of braces are right for you, book an appointment where you’ll get all of the information you need to make an educated choice regarding your smile’s needs. Plus, we’ll be happy to share a customised care plan and financing options so that you know exactly what to expect before starting any type of treatment. Contact us today to schedule.